A freshly graded gem which was assessed during this year's National Convention and then consigned to our booth at the show. A very clean and beautifully preserved example which boasts many attributes of a NRMT card with four square corners and exceptional surfaces for the issue. The print, color and focus are all deserving of a higher grade. 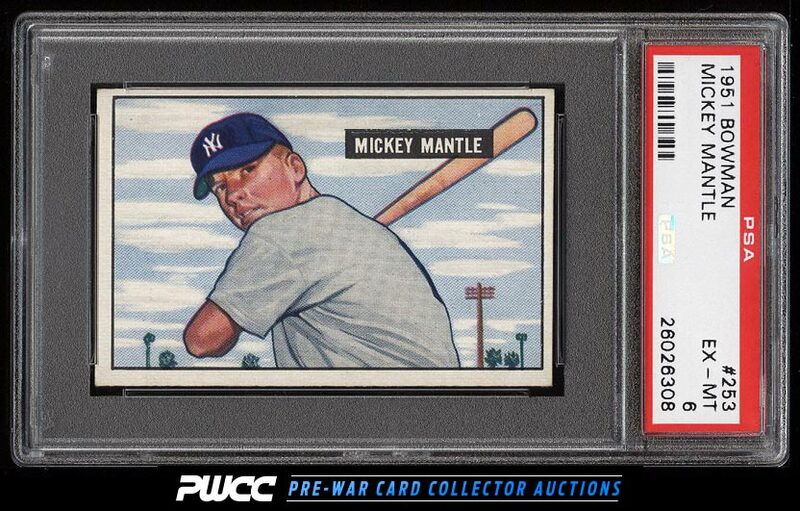 Easily among the better PSA 6s we've seen in recent times and deserving of serious attention. One of nearly 20,000 cards, lots, and sets up for bid in our 7th Auction of 2016. Click on the link above to view the other PWCC auction lots.